It's about an hour until various game designers from the New York area will be making a scheduled visit to playtest the teams' offerings. At this point, everyone's programming and dealing with problems that come up the best they can. Two Bit Operation for example has had various members work on different areas of the game, and at moment are facing difficulties merging the code in GameMaker, which was actually a re-occurring problem the previous event. Meanwhile, Mikey has managed to get over his technical hurdles, and again his game, which is a multiplayer version of a Pong-eque game (with a rather stylish interface) that allows for any number of players to jump into and out of the game at any moment, is coming along just fine. And nearby, a person from Daddy has just shown me one cartoony character pooping, with another eating the poop. The Polymorphs also have a character moving about, which happens to be "whirl"-ing tornado. The team leader tells me that watching Katamari helped with the formulation of their idea. Everyone is further behind than they expect but mostly still on course with the notable exception of Oh My Mosh, who are in the midst of an internal despite regarding character design, with no programming having been done thus far. The professionals have arrived, and are playing and talking to the various teams. Some students seem visibly deflated, but thankful for the input. For the most part, the visitors seem genuinely impressed with what they see, yet are more than willing to provide insight on how to make things better. Catherine Herdlick, a producer from gameLab, spends quite a bit of time with La Pwnistas's dodge ball simulator, and her overall sentiment was that their game was too complicated, which is actually a common criticism among all the titles. Frank Lantz, who is the co-founder of area/code, ends up telling the Polymorphs that they need to simplify theirs. If a game wasn't too complicated, it was often simply buried in too much "stuff" for a lack of a better term. "Cut away all the extras... concentrate on controls" Frank tells Two Bit Operation after trying out their dropping block puzzler. I asked what Frank thought of what he had seen up that point, which was about half the games, and noted that they were all "small games on cell phones" and wished that many were more ambitious, or at least took advantage of the medium. But he had to commend the effort and hard work of everyone, as well as the fruits of such labor on such a limited time frame, and especially with no one having any production experience. Even the sometimes hard to please Greg Costikyan, the man behind Manifesto Games, was seen giving the big thumbs up to the Difference Engine. What was his opinion of everything he had seen afterwards? Simply put, "It's not the same crap." Most seemed confident with the direction each team is going, more or less, save for Oh My Mosh. When Frank is presented with two possible concepts and ask which they should start developing, he reminds them that such a point has long since passed. Everyone's busy implementing all the opinions and suggestions that the experts have relayed, so there's a quiet in the air. But there is a sound, something which one simply doesn't hear all the time, game design mosh or not, and it's a flute. The Difference Engine's sound person has brought with him an entire treasure trove of musical instruments, all from various parts of the world (I noticed a didgeridoo peeping out from his bag), and the flute is being recorded for the game. I also see watercolors and brushes all around the area, and am then shown the painting which was produced, which has been scanned into the game, and will serve as the background. The rather unique combination of art and music fits in well with their game, which is a rather artistically-inclined, puzzle-action-oriented title featuring a moth; the player must move tiles to help it navigate the landscape and avoid a persistently following light which could spell doom if contact is made. Aside from a nagging memory restraint problem that they keep bumping into, all is going relatively well. Another team that is making good progress is the Polymorphs; their game let's the player take control of a hurricane. The goal of the player is to "feed" the whirlwind houses to help sustain its force and form. Even though they have fallen behind their schedule, everything is still going well, and their highly organized workflow is paying dividends. For(24)'s game is finally taking form. It appears to be a simple dungeon crawler, in which the player must find an item in order to defeat the boss. The art looks quite nice, though things are rather rough on the programming end (again, more GameMaker quirks). While some folks in Mercy are creating art assets in Photoshop, others program in GameMaker, with the remaining members busy writing. I discover that their game is a combination driving and quiz-answering game. The basic concept is that the player is going down the highway when they decide to call in a radio station to respond to questions. It's the team's notion of "confusing the player" finally fleshed out. So a pair of students ask one another, as well as anyone else they can talk to, for questions and answers, no matter how ridiculous they may sound (to avoid redundancy, they estimate that they need approximately 300 unique questions). 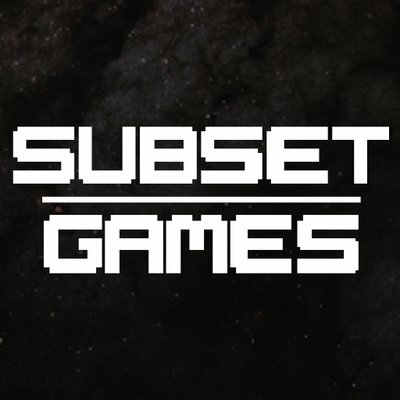 Oh My Mosh has finally started programming their game, having at last decided upon a concept. One can sense a degree of stress among the members, reasonable considering their uphill battle starting this late in the game. But it has been mentioned that they should build upon their strength, which is their cute character designs, which seems to shaping up the best. Some technical problems prove to be greater for some than others. 7SAMURAI-1's upbeat demeanor has begun to fade away as more and more issues come up with the networking aspects. It seems the desired solution to the latency has not come together, and now there are issues with the infrastructure which Parsons has provided as well. Meanwhile Mikey has encountered yet another major technical setback. His own attempt to have various handsets "talk to each other" has failed, much like the 7SAMURAI-1's. Mikey ends up coming to the conclusion, along with the members of 7SAMURAI-1 (they pooled resources in order to overcome their hurdles), that it's simply not possible. Only then do they realize precisely why the organizers had so strongly suggested the idea of using the phones as simply a controller for a separate display. It should also be noted that Mikey has also been trying to assist one of the members from La Pwnistas with infrastructure issues as well. As a result of their difficulties, the team decides to drop multiplayer action in favor for a single player experience. Fatigue is starting to set in, as well as stress. More and more students are becoming listless and taking turns at Guitar Hero. Consumption of Red Bull has gone up tenfold. It's also the point in which Mikey is forced to halt the development of his game. Due to the unavoidable latency, his concept simply cannot be taken to completion. Everyone who hears of this news, even competitors, are shocked and even upset by it. When asked what the plan is, the response is a cheerful "Hey, I've got over nine hours to make another one!" In just an hour, Mikey already has his second game up and running. Meanwhile, a few team members from Daddy are surfing the GameMaker user forums, looking for help to nagging issues. Dawn is just starting to crack the dark night skies in the window facing Mercy. When asked how it feels to see the red, the one member's response is simply a single word, told half-jokingly and half-seriously: "Panic." In the corner of the room, two members of !KILLAH BITZ! are asleep. The group has been extremely quiet the entire time of the competition, and it's still not clear what the state of their game is. All that has been known is that they are doing some sort of monster-building and fighting game. The creatures, which are built from various animal parts (imagine a gorilla's head, on a bear's body, with crane's wings, and lion's legs), were created hours ago in Photoshop, near the start of the competition, and no one has yet seen them move in the game environment. Back in the main room, more sounds are filling the room, this time from Daddy. Their game is also starting to become clear; an action game in which one must digest donuts in order to build up a supply of waste product to unload on the enemy, who will become empowered by any donuts missed by the player. Almost everyone else is still toiling away, the pace has quietly and noticeable quickened, though Mikey runs around and slides across the room in his socks. He's also saying sentences that don't entirely make sense, and cracking jokes that only he seems to understand. The disadvantage of working in a one-man team around the clock (and taking time to help others) manifests as Mikey shows the first signs of becoming unhinged, granted in a pleasant, humorous manner. People realize that they have just a few precious hours to guide their projects to completion. Virtually every team has to make judgement calls on what to work on and what to throw out. The Difference Engine decides to give up on sound effects and 7SAMURAI-1 has to drop audio period. The team members of 7SAMURAI-1 seem particularly frazzled, as frustration over the tech becomes more apparent in the team's demeanor. Even the normally upbeat and cheerful Mikey is quiet. The fatigue has finally taken hold of him, and it's become impossible for him to move on to the next the step. It's not entirely surprising, given all the work he's put in, but it's a bit disappointing to witness nonetheless. At this point for many teams, including 7SAMURAI-1, !KILLAH BITZ!, For(24), and La Pwnistas, most members don't have much to do other than sit and watch their own designated coder assemble everyone's contributions and wait for the magical switch to be turned on. Just about the only team that seems at all upbeat is The Polymorphs, whose game is indeed almost finished, and plays quite well. It's the home stretch, and the rush is on. Everyone is putting on the final touches, even Oh My Mosh, who finally has something coming together. Again, their game at least looks cute, which could be their saving grace when it comes to judging. Even !KILLAH BITZ! managed, right under the wire, to get their game working. And in the end, it's only one of two games that attempts to do multiplayer gaming, and it actually works. As for Mikey, he too was able to set his mind straight and wrap the game up, which this time deals with using gravity to propel a ball instead of a bar to bounce it off. Pretty much everyone's titles, from Two Bit Operation, to Polymorphs, to For(24), came together in the end. Most will concede that their games are far from perfect, or what they envisioned. But everyone is simply content to be finished and eager to go home to get some much-deserved rest. Most participants have returned to Parsons for the award ceremony. No one has any idea what to expect, and many have no clue as to what their chances are of winning. When asked, most were simply pleased to be able to participate in such an event, though quite a few conceded that they would most certainly do things differently if a chance to do it over again was provided. Best Audio design goes to Polymorph's title, Whirlwind Romance, with honorable mention to La Pwnistas title, Gym Jungle. Best Visual Design goes to Oh My Mosh's Fowl Frenzy, in which their strongest asset, cute character creation, proved its worth. Honorable mention goes to the Difference Engine's Moth. As for Most Innovative Game Design, La Pwnistas wins again for Gym Jungle, while the main prize goes to the one-man band Mike Stanton, a.k.a.Team Mikey, for his game Swing, which draws a tremendous response from the crowd. Mikey is simply awestruck. Every competitor, even those who didn't win, is obviously proud and happy for Mike. Given to the Top Overall Game, which in addition to all the free Atari games, complimentary magazine subscriptions, and prize money that all the other winners get, is the possibility of being published by Glu Mobile. The runner-up ends up being Vac-Attack, Two Bit Operation's suction-oriented puzzler. But the main award goes to The Difference Engine's Moth. After the ceremony comes the chance for everyone to bask in the glory and check out all the games. Margaret Wallace, CEO of Skunk Studios, is spotted talking to Mike Stanton, noting how impressive his game was, especially since it was the result of one person's effort in just 24 hours. And to that, a passer by responds with "And if you thought his nine-hour game was impressive, wait till you check out his fifteen-hour one!"